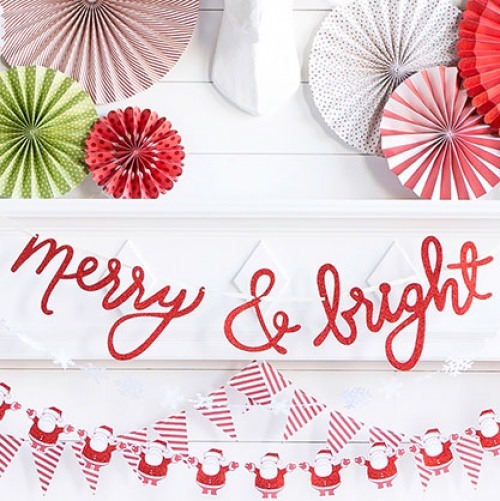 This merry and bright holiday banner is perfect for sprucing up your mantle during the holidays. Each pack comes with three chipboard script pieces including "merry", "&", and "bright" as well as a roll of ribbon. Simply thread the ribbon through the script for a beautiful decoration.